Classic BBQ dish of Pakistani Cuisine. 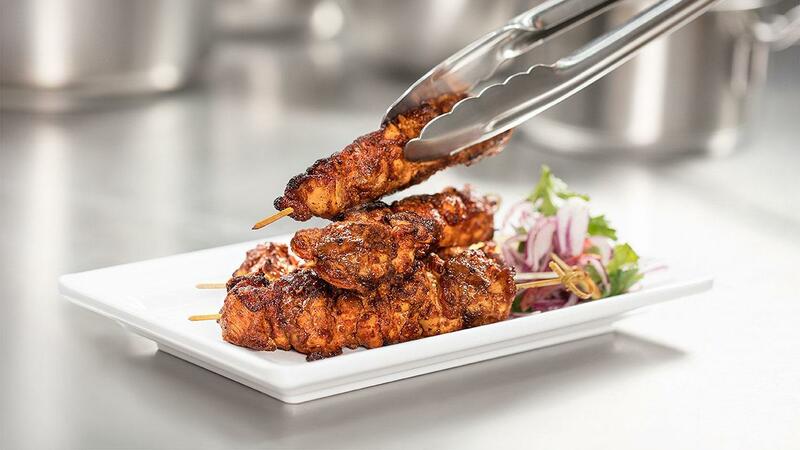 Tender pieces of chicken thighs marinated in spices and herbs, grilled over charcoal. The recipe below is very hot, you can adjust the heat per your taste by adjusting the amount of chillies. Cut chicken into bite size pieces to marinate with the following. Mix red chilli powder, cumin powder, garam masala, ginger & garlic paste, Knorr Lime Seasoning Powder, Knorr Chicken Stock Powder, and Rafhan Corn Oil. Marinate chicken for 12 hours. Place chicken on grill at low heat coals for 5-10 minutes. Brush the chicken with Rafhan Corn Oil during the grilling. Once golden brown with grill marks, serve with Naan and green chutney. Make it presentable with salad leaves, tomatoes, onion, and lemon wedges.